A skillful blend of crime thriller and time-hopping head-scratcher, The Shining Girls deserves to be the book stuffed into luggage and peeking out of beach bags this summer. Author Lauren Beukes has created a wildly inventive novel that balances suspense, tragedy, gore, and humor on a knife edge. In bleak Depression-era Chicago, Harper Curtis stumbles upon a house that opens onto different time periods. Curtis, a man rotten to his core, uses the House's properties to target "shining girls" throughout the decades, girls who burn bright with life and potential that he's driven to snuff out. Curtis' killing spree is interrupted when one of his shining girls, Kirby Mazrachi, doesn't die following his attack. And Kirby's tenacious quest to hunt down her would-be killer becomes an obsession. Her task is complicated by the fact that Curtis lives in the past, the present, the future, and nowhere, all at once. How can police track him or his victims defend themselves against him when he slips away into a different decade to hunt another girl? The book hopscotches from era to era and doesn't follow a linear narrative line, but the challenges of piecing together the story's events is one of the book's pleasures. Curtis is a villain to loathe, and Kirby is a damaged, difficult protagonist, but one you'll still root for. Beukes writes from the perspective of a variety of characters, some who reappear and some whose chapters are all-too-tragically brief. The historical scope of the book is one of its draws; you'll be immersed in the Hooverville shantytowns of Chicago, the 1940s carnival circuit, the WWII-era factory girls, the Red Scare of the 1950s, the peace-and-love era of the 1970s, and the urban chaos of Chicago in the 1990s. Beukes' research into the time periods add the spark of authentic details that bring the time periods and the people in them to life. 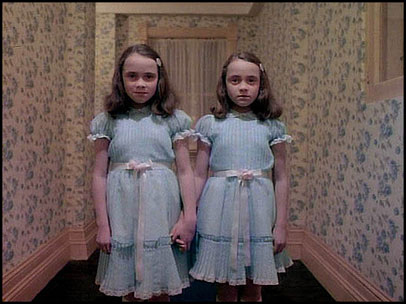 These are the wrong Shining girls, but they add the right air of creepiness. Readers of crime thrillers will dig this novel. In fact, it reminded me more than a little of Chelsea Cain's Archie Sheridan/Gretchen Lowell series, with the protagonist who's the tortured survivor of horrific abuse and the mentor/mentee relationship that Kirby forms with a veteran newspaper reporter. I'm not sure how much our readership overlaps with readers of crime fiction — I can't be the only one, right? — but if you enjoyed Cain's Heartsick, you'll adore The Shining Girls. And if you enjoy The Shining Girls, try Heartsick, which is tonally similar (but minus the wibbly wobbly timey wimey stuff, of course). 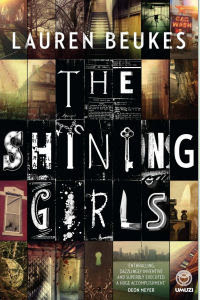 Have you read The Shining Girls yet? Were you as enthralled as I was? Great Review, I was enthralled by the book, as I expect many people will be this summer!